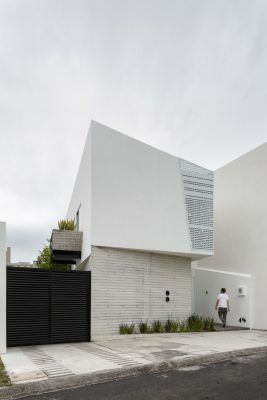 Ten House is a family house project developed in a rectangular piece of land with a light slope of 5% towards its end. 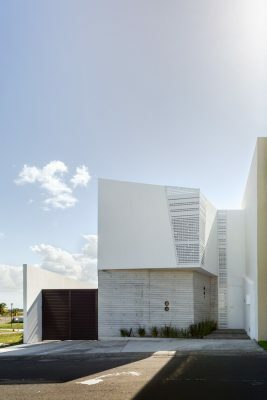 Thus this generated a reinterpretation of the function in which a higher quality is given to the resident, with views of the recreational and social areas, making the house richer in spaces, conclusions and atmosphere. 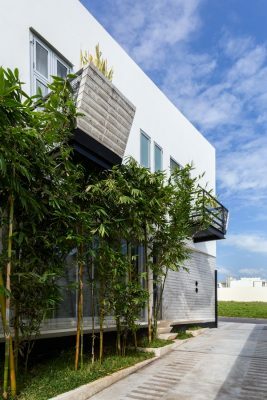 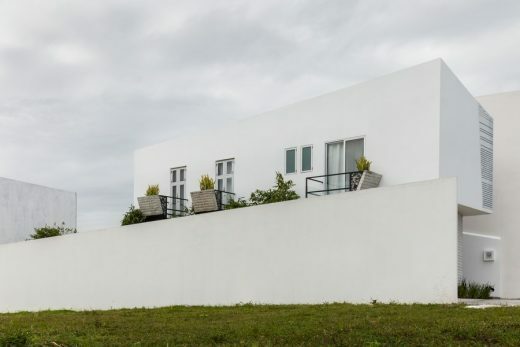 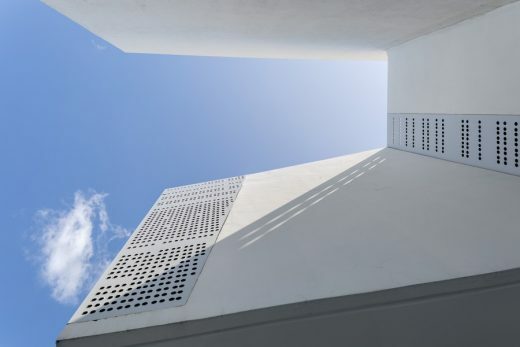 The solution was based on determining the architectonic program areas within a mínimum rectangular area, rotating it ten degrees, without altering the program, in a way that the house would face the back part of the track of land. 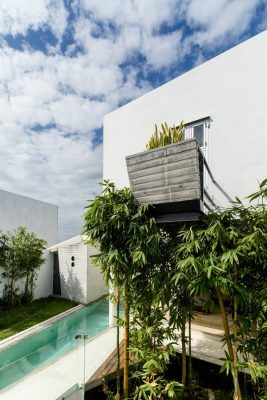 This is where a swimming pool was designed in a trapezoidal shape, which is visually and partially compressed by the house volume and by the finished concrete wall from which a waterfall emerges. 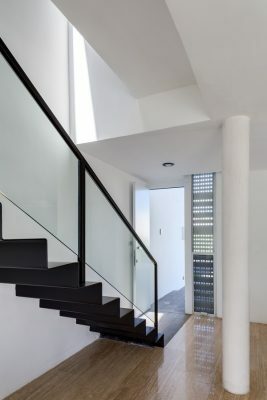 On its ground level, the house functions like a free open system within the property, contained inside clear glases that can be moved bidirectionaly and where the dining and living rooms are located, plus a half bathroom and a kitchen which is protected by a finished concrete wall towards the house entrance. 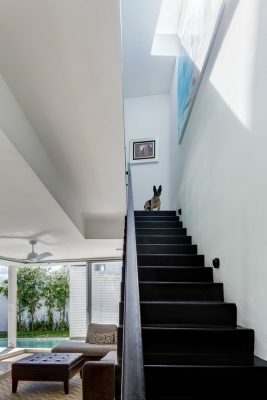 It also has a light staircase, made of steel plate which leads you to the upper level where three bedrooms are located contained within a more solid volume. 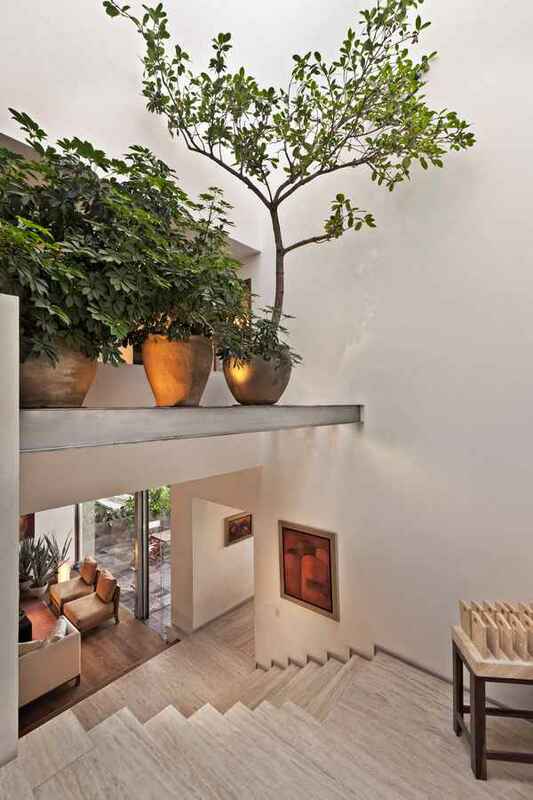 All three bedrooms have balconies. 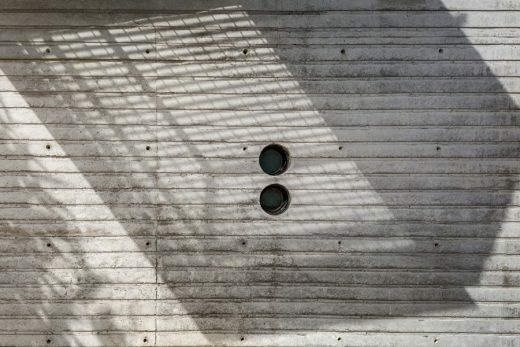 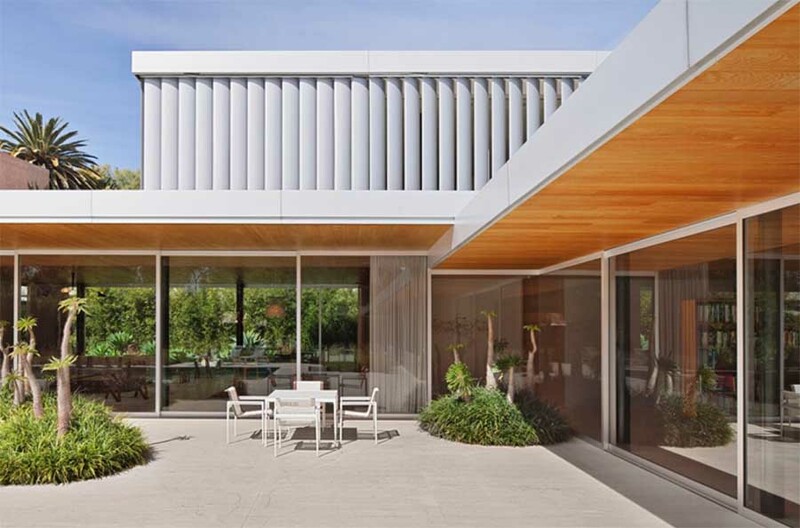 These are supported by IPR beams and Irving grid steel, unbalancing its lightness with finished concrete walls containing flower pots with ornament elements with a view to the swimming pool. 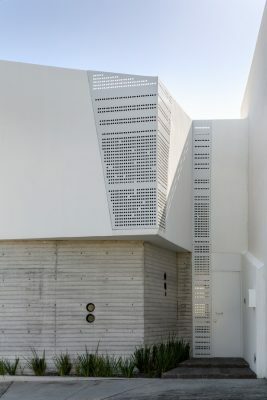 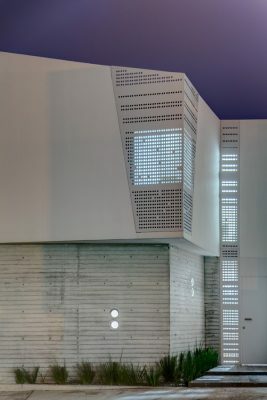 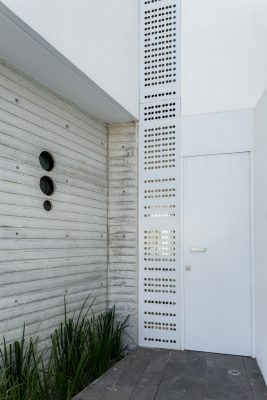 The windows of the main facade (front) of the house are covered with multiperforated panels of aluminium designed to protect the intimacy without taking off the interior light of the house. 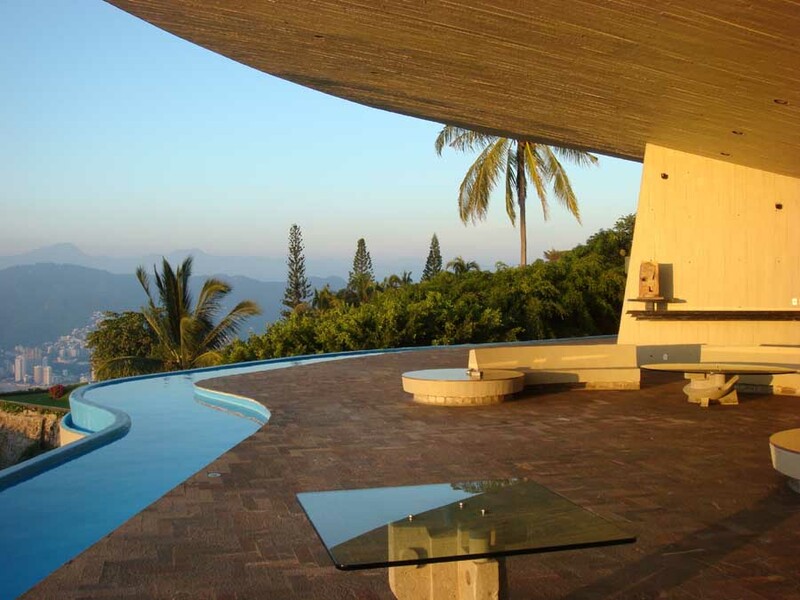 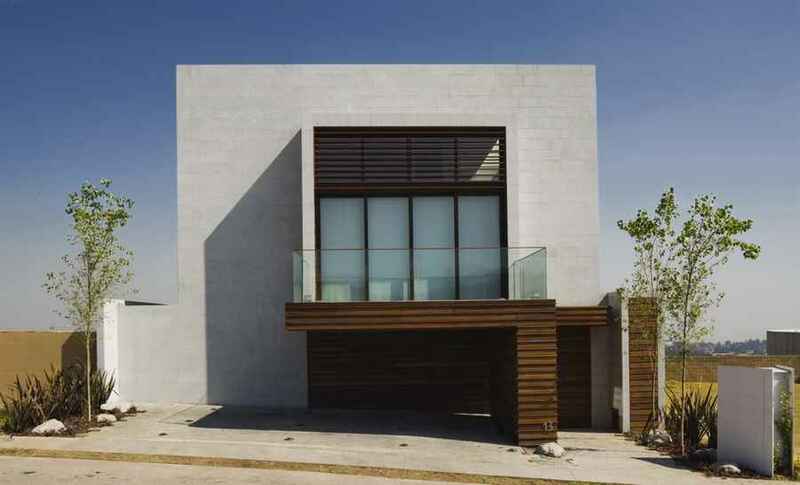 The materiality of the house is dominated by the use of concretes. 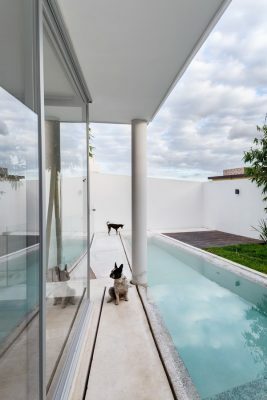 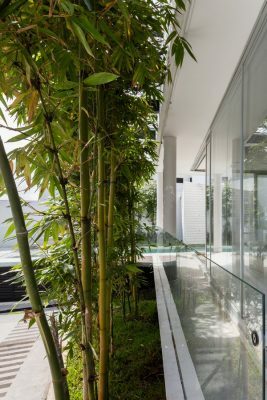 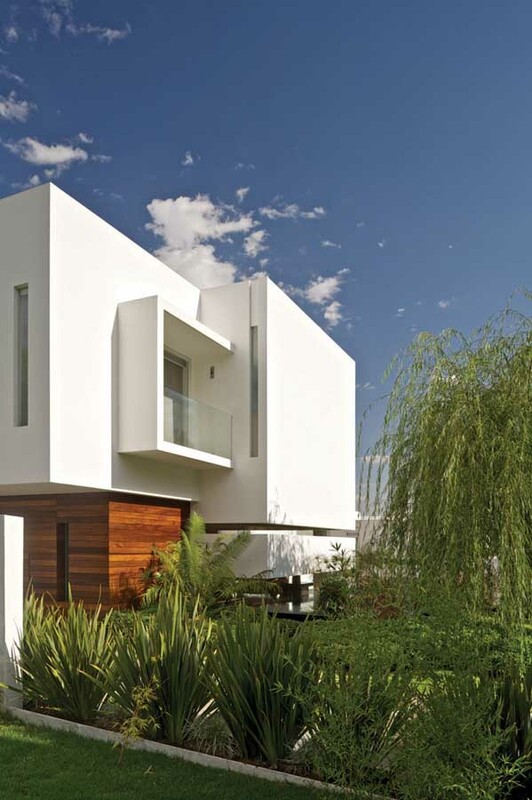 The columns, walking paths and swiming pool are elements that were cast in situ with finished white concrete. 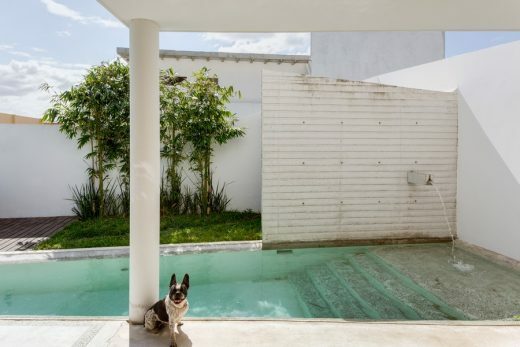 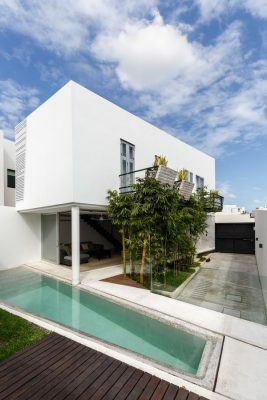 The wall that protects the kitchen on the front, as well as the wall on the rear containing services, and standing also as pinnacle for the living room and swiming pool is made of finished grey concrete with lines emphasizing the horizontality of the construction.